The CVAC process is based on improving the body’s adaptation response to stressors. CVAC applies precisely composed rhythm-based changes to pressure, temperature and density of air. These changes to pressure, “stress” the body on a cellular level, similar to the body’s natural response to an intense workout. CVAC is NOT a HYPERBARIC chamber (It actually produces short exposure to the exact opposite… a HYPOBARIC environment). CVAC is a passive process based on the benefits created by constant and rapid changes to pressure. As you sit comfortably inside the CVAC Pod, an external vacuum pump adjusts the barometric pressure inside, simulating increases and decreases in altitudes that range from sea level to 22,500 feet (That’s higher than Mt Everest’s base camp!). The entire body (blood, organs, muscle…. down to each and every cell) is rhythmically compressed and relaxed, as the peaks, plateaus, valleys and drops are viewed on the computer screen outside the pod. The breathed, less-dense atmosphere (fresh air) that is produced during a CVAC session is natural and does not employ chemical means. The percentage of oxygen you breathe remains the same at all times. A typical CVAC session is a brief 20 minutes. Due to the minimal amount of time spent at each altitude, the types of negative side effects that can afflict ascending and descending climbers is not a concern. While the user doesn’t do much other than sit while inside the pod, many of the same benefits as intense exercise are gained. 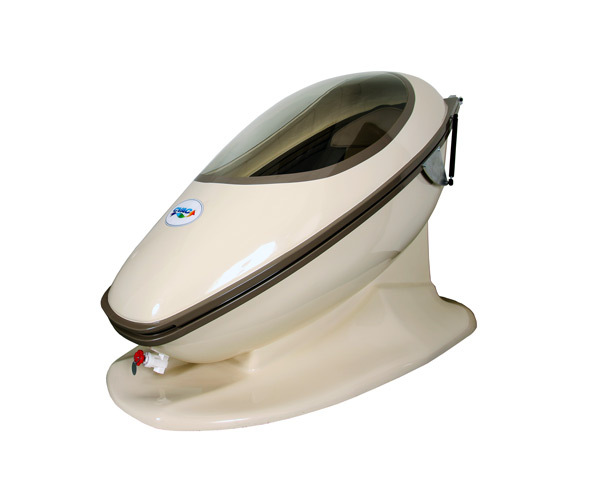 In fact, CVAC Systems claims that spending up to 40 minutes in the pod just two-three times per week can improve circulation, boost oxygen-rich blood cells, remove lactic acid and potentially stimulate mitochondrial biogenesis and stem-cell production. Experience physical conditioning without stressing your body and joints! Every person can benefit from improved cellular fitness. People of all ages and activity levels are using CVAC to help improve their overall fitness without the aggressive physical exertion often associated with an exercise regimen. Athletes who have added the CVAC process to their training regimens have gained a competitive edge with reported improvement in three areas vital to performance—recovery, endurance and power. The CVAC process is intended to provide adaptation-based physical conditioning. The CVAC technology is not intended to be used to diagnose, treat, heal, manage or prevent any disease or other medical condition. Q. WHAT SHOULD I EXPECT DURING MY INTIAL CVAC APPOINTMENT AT ASCENT? During your initial visit, we will introduce and educate you about the experience and sensations you should expect during your first CVAC session. The appointment begins with a detailed presentation on the process itself and various ear clearing methods to become familiar with for your safety and comfort. The first of (5), five minute Introductory Tier 1 Sessions begins shortly there after. The purpose of these short, progressive sessions are to increase the flexibility of your Eustachian tubes. With guidance and communication along the way you will then continue your journey through the gradually increasing sessions until all (5) are finished. Upon completion, you will answer a short questionnaire that profiles you into one of twelve personalized categories. These twelve specific profiles measure ones abilities to cope and react to certain stressors. Once classified, you may then begin your customized, rhythmically programed CVAC journey. Future visits based on our recommended protocol include 2 twenty-minute sessions, three times a week. Or 3 twenty-minute sessions, twice per week. Due to CVAC’s changes in pressure being similar to the takeoff and landing of an airplane, please be aware that if you have any condition that would prevent you from equalizing the pressure in your ears (IE: sinus allergies or infection, toothache or tooth infection, cold or flu, scuba, deep-sea dives or used a hyperbaric chamber within the last 24 hours) it is recommended that you postpone your session. Eat before taking CVAC sessions if you are prone to low blood sugar. Avoid food that causes congestion or mucus (Such as dairy products). No laptops in the pod. Cell phones and Tablets are okay. Do not bring a fountain pen or “vape” device into the pod, as the changes in air pressure will likely cause it to leak. Ballpoint pens and pencils are okay. Please wear shoes. Bare feet are not allowed in the CVAC pod. Q. HOW MANY CVAC PODS ARE AVAILABLE FOR PUBLIC USE? A. Although many CVAC Pods are still kept behind closed doors at private residences, Ascent has two of only fifteen in the United States open for public use. Q. WHAT ARE THE PRIMARY DIFFERENCES BETWEEN THE CVAC POD AND A HYPERBARIC CHAMBER? A. The primary difference between the CVAC Pod and a Hyperbaric Chamber lies within the use of low and high pressure. Hyperbaric chambers provide high-pressure environments to flood the body with oxygen. In theory by flooding the body with oxygen, one finds that the body may become somewhat reliant on this process, forcing it to become lazy and increase the inability to properly utilize oxygen in all of its mechanisms. On the other hand, the CVAC Pod utilizes a low-pressure (vacuum) environment to rhythmically and dynamically vary the density of air, stimulating the body’s natural adaptation response. Using composed proprietary patterned sequences; pressure is increased and decreased. These changes in pressure set up waves of tension and relaxation that act in concert with the pulsatile nature of breathing, muscle contraction and blood flow that occur during exercise. By momentarily depleting the body of oxygen, the body begins to adapt and become conditioned to utilize the oxygen more efficiently; hence our mechanisms and all their moving parts start to improve. Not only is CVAC taking pressure away and then reintroducing it into the atmosphere but it is also changing the temperature and the density of air. This all works synergistically to create what we understand to be the CVAC process. Q. WHAT OTHER ADAPTATION AND REGENERATION TECHNOLOGIES ARE OFFERED AT ASCENT? A. During Ascent’s 6-year evolution, additional regenerative technologies have been added to the menu… Including: BEMER (Bio-Electro-Magnetic-Energy-Regulation), Nexalin (Advanced Brain Therapy), Sonix (Whole Body Vibration) and MENS (Micro-Current Electrical Neuromuscular Stimulation). Q. AM I ABLE TO PURCHASE A CVAC POD THROUGH ASCENT? A. Yes. 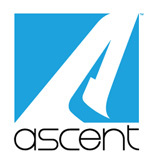 Ascent is a National Preferred CVAC Distributor. Please email info@Ascent-OC.com or call (949) 474-4404 for more info. Q. HOW CAN I FIND OUT MORE REGARDING CVAC AND WHETHER IT IS RIGHT FOR ME? A. We at Ascent believe that every living being benefits from the CVAC process. Due to its physiological similarities of a passive form of physical conditioning, most of the perceived benefits associated with an increased physical fitness tend to carry over to the CVAC process. For more information or to schedule an appointment, please contact our knowledgeable staff by phone at (949) 474-4404 or email us at info@Ascent-OC.com. Please also visit the “Contact Us” page to sign up for our informative newsletter.